Good problems and mushrooms of certain kinds have something in common; they grow in clusters. I guess I’ve always known that good problem writers recognize abstract qualities of problems and re-use them but this nice way Polya puts it has helped me take the time to recognize and exploit promising problem clusters. It has greatly improved my assessment-writing process and as a bonus, when I come up with or find a problem I like, I get a craving for chanterelles. A couple of weeks ago (time flies), I got to spend a few days in Portland for the Grace Hopper K-12 Teachers Workshop. I’ve found this event to be a great opportunity to connect with some of the most energetic and innovative computing instructors in the country. Each year, the Computer Science Teachers Association provides scholarships for instructors to attend and I highly recommend that any K-12 computing instructor apply for one. This year, I went with a different perspective. I was primarily on the lookout for ideas of projects universities could take on to support computing education in middle and high schools. I was also looking for inspiration on how to effect state-level change in the way K-12 computing is viewed and on how to attract and retain more women in our computing courses. Of course, I came home with plenty of ideas and am now looking for opportunities and time to put them into action. I also had the opportunity to give a talk titled “Online Presence For Professional Development, Community Engagement and Student Support” (ppt slides). I tried to frame it as a call to arms for those who care about computing education to share more of what they do online. I emphasized several of the benefits of a vibrant online community: reduced isolation, greater variety of resources to choose from, more opportunities for inspiration and learning. I made specific recommendations on running a course website and encouraged everyone to comment on the Computer Science Teachers Association blog and to become active members in communities such as ScratchEd or the AP CS Listserv. I pointed to some ways that educators of other subjects have built community including Classroom2.0 and math instructor-turned-ed-grad-student Dan Meyer’s blog where Dan periodically gets his readers to help him refine lessons. We had the beginning of a great discussion on reasons CS educators may not be sharing much now and ways to improve on the online gathering places that already exist. This continued between sessions and hopefully will result in an ongoing conversation about improving our collective online presence. One of the best parts of this event was meeting Ben Chun in person for the first time. Ben provided me with a great example of why computing educators should consider blogging — though we had never met, we had been carrying on a very valuable online dialog for the past three years through our respective blogs. I have learned an incredible amount from his introspective posts on teaching and his inspirational side projects such as ilearnedtoprogram.com and the Kickstarter-funded ctillustrated.com. Our online relationship led me to send some volunteers his way who spent a significant amount of time working with his students. Blogging can truly open doors. I really enjoyed being a part of this year’s Grace Hopper K-12 Teachers Workshop. I found many things to be inspired about and many ideas I would like to implement. I hope that my presentation left some instructors with the tools and inspiration to share more of what they do online. Note: Andy kindly reminded me in the comments to at least mention LightBot 2.0. 2.0 has more levels, deliberately organizes them into categories such as ‘recursion’ and ‘conditionals,’ makes the turning direction a little more obvious and highlights the current execution step. I like that 1.0 is a little simpler but 2.0 really does have several good improvements. LightBot is a programming-like Flash-based puzzle game. 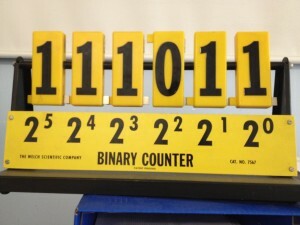 Players have access to several commands they organize in sequence to move a robot over certain tiles. I mentioned it a while ago in a post about creating computer scientists but I’ve noticed that though a lot of computer science teachers have seen it and liked it, they’ve shied away from using it in the classroom. 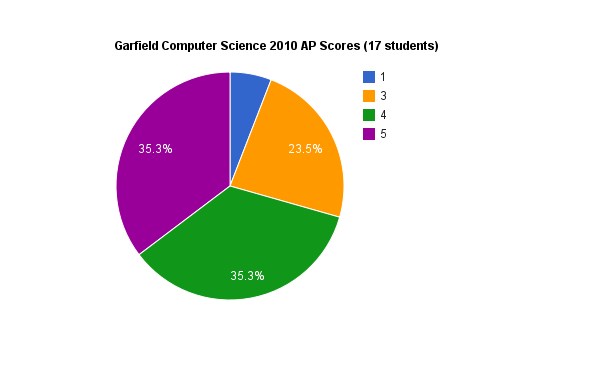 I’ve enjoyed using it in with high schoolers in both an introductory breadth course and the AP Computer Science course. 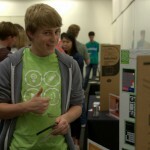 See UW’s CS Principles pilot blog for a nice narrative on how it was used in a college context. It’s the basis for several good activities in the first few days of class — timely for many of us! One logistical hurdle for teachers has been that the game is hosted on sites that are typically blocked by school districts. It’s possible to download the swf file (File -> Save As) and distribute it to students either locally or through a web or local file server. I hosted it on my course website. Please get in touch if you want to use it but can’t figure out how. A teacher needs to know within a few days of a new course starting what knowledge, skills and misconceptions students are coming in with. I like to give a quick survey in which students self-report their comfort and enjoyment in different areas. Unsurprisingly, students who self-report success in algebra tend to more easily pick up programming but it’s not a perfect correlation. I’ve found that watching students play LightBot has given me a really good sense of which students will pick up programming with ease and those who will struggle. I admit doing this with a bit of discomfort: I reject Knuth’s notion that only 2% of the population is comfortable thinking programmatically (Don Knuth, one of the ‘fathers’ of computer science, has been frequently quoted saying things like “[programming] takes a peculiar thought process, which I believe about one in every 50 people have, that makes them resonate with the computer,” found here). I don’t believe that programming ability is somehow an innate gift but I do recognize that certain students come in better prepared to think this way than others. I tell students that I want to give them a taste of the kind of thinking that computer programmers use and I challenge them to complete as many levels as they can. Meanwhile, I walk around and observe how students interact with it. I immediately spot students who are not used to completing work on their own and turn to their neighbor as soon as they get stuck. I notice students who are very competitive. I see which students work through trial and error and which want to work out a full solution before trying it out. I’m always impressed to see students who take out a piece of paper to draw out a solution and I make sure to praise them for this practice when we debrief. Perhaps the biggest surprise for me has been seeing how many students have very poor spatial reasoning skills. Did you enjoy playing the game? Why/why not? Most students seem to like it. Those who don’t like it find it frustrating and they’re the ones who will need the most support when learning to program. Many say they like it because it’s challenging. That’s a key thing to bring back when programming projects get tough. What strategies helped you make progress? Trial and error to find out what each command does. Many say they write out a few steps and then verify that it works — they know that incremental development works. Many report putting themselves in place of the robot. This is a very useful debugging strategy. Some break down the problem on paper and work out a solution before turning to the computer, especially for the complicated later levels. These students will likely be scary good programmers. A teacher can come back to students’ LightBot experience when formally introducing several tricky programming concepts including procedural decomposition and recursion. 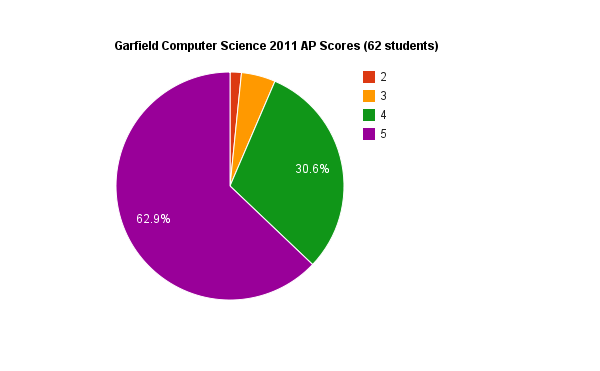 Again, read some of the UW’s CS Principles blog to see how they did this. I’ve found it a really powerful shared experience to draw from. A lot of teachers use visual languages to make the transition into programming a little more gentle. I would recommend LightBot over Scratch, Alice or the like for that purpose because its more constrained nature lets us hone in on a few targeted skills. In fact, I’ve used it as a precursor to Scratch. Similar game-like introductions to programming that I really like include Manufactoria and Picobot. I’ve tended to use these as supplements for more advanced students or as introductions to state machines since they don’t relate as closely to procedural programming. Some of my students invited me to their internship presentations at Microsoft tonight and I was blown away by the quality of what I saw. Microsoft’s high school internship program is second to none and I commend the company for giving students opportunities to get a taste of high tech careers at such a young age. 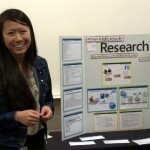 Hiring high schoolers is not without risk or cost and it is very impressive that Microsoft devotes significant time to mentoring their interns as they work on real problems. I hope that more companies will consider replicating their program — it’s a great way to recruit the best students early and could really help change the image of computing careers. 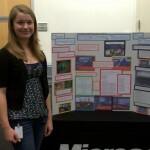 This summer, Microsoft had 17 high school interns in the Puget Sound. 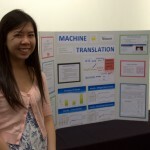 Four Garfield students worked on projects at Microsoft Research. One worked on a system to translate English task descriptions into short PowerShell scripts, another explored using voice commands in Kinect-based games and simulations, the third worked on translating TED talks from Chinese to English and the last worked on TouchDevelop, an on-phone programming tool for Windows Phone 7 (see his demo video here). They learned to perform user studies, glue existing software tools together, use new development environments, give presentations, and countless other skills that will put them ahead no matter what they choose to do next. Last month, I attended CSTA’s CS/IT for the third year and was pleased to see that it continues to attract great people from the K-12 and college computer science teaching community. This year saw the addition of a day of 3-hour workshops and the feedback on those seemed overwhelmingly positive. I was particularly struck by the opening and closing speakers and I thought that they nicely, if inadvertently, illustrated some of the tensions in the introductory CS teaching world. Doug Rushkoff, who recently published a short booked titled Program or be Programmed, kicked things off. The best way I’ve seen him described is as a “media theorist” — he has been tracking disruptive information technology innovations since the early 90s and gained notoriety as one of the first people writing about the Internet as a socially relevant phenomenon. To me, what made him a very interesting pick as an opening speaker is that he is not himself a technology creator though he certainly seems to leverage technological tools with great ease. Doug is a charismatic and energetic speaker who clearly had the crowd bought into the title of his talk which promised to be about the importance of programming. He is the kind of person who likes to make emotional appeals to his audience — the alarmist title of his book set the tone for the talk. Though he was very entertaining, he made my head spin. He jumped from anecdotes about the effect of written text in Israel to deploring that kids don’t understand that Facebook doesn’t exist for them to make friends but rather to make money off their data to arguments that machines are programming us to use them better. At some point in the talk, I started wishing that he had slides so that I could have some sort of thematic anchor point for all the energy he was throwing my way. He quickly addressed his dislike of digital presentations — he feels it detracts from the “full-spectrum communication” that occurs between live human beings. I think his main point was that we should all be more aware of how social media tools and devices affect us socially and be wary of being over-connected. Fair enough but I didn’t really understand where the programming came into play. On the other hand, our closing speaker, Ken Perlin, put programming front and center. Ken directs the NYU Games for Learning Institute and seems to derive great pleasure from putting together little games and animations which he blogs about. He didn’t go into deep analysis of why learning to program is important but instead showed us a bunch of things he has worked on. He showed us a simple animated creature that kids could learn to program, a tool to make collaborative music and a Kinect drawing program. I found myself wanting to play with the ideas he was presenting and was really charmed by his enthusiasm. I can see myself showing his experiments to students to motivate and excite them. What I got out of this talk is that programming is a great tool through which to learn about various domains including cognition, music and emotion. All I really wanted at the end of the talk was a keyboard and some fun APIs to play with. Again, those two talks told a very neat little story about the difficulties that we face when trying to decide on what introductory CS curriculum looks like. For some people, ethics, responsible technology use and surface understanding of ideas like DNS are most important. 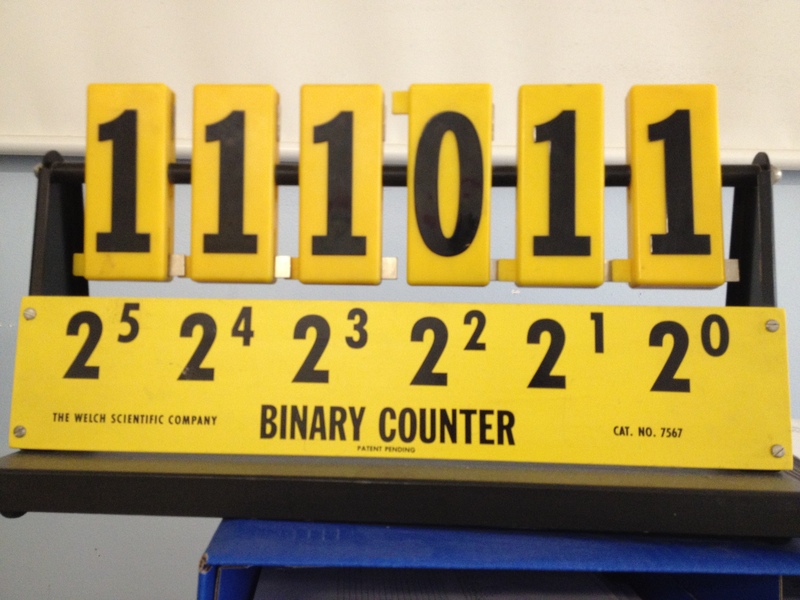 To others, algorithm elaboration and analysis take precedent. To some, the need for CS courses is all about the threat of Chinese economic overpowering or of autonomous machines taking over. To others, it’s about exploring the boundaries of the currently possible and rolling up one’s sleeves to build things. And of course, different CS education proponents lie everywhere in between those different extremes. I wish I could witness these two designing a high school CS course together! I know I should have posted this earlier and especially before the by the numbers post but it’s been hard to find the words. I will be lecturing for the introductory computer science courses at UW in the fall. The wonderful Earl Bergquist, after years of experience at Amazon, will be continuing to build the Garfield computer science program. I will be providing as much support as I can to local teachers and hope to be back at Garfield frequently as a volunteer. I’ve had the opportunity to work with some incredible students at Garfield: students who not only embrace learning about complex new ideas but also have incredible personalities and diverse interests. I can’t wait to see what they end up doing and hope that my short stint with them will have had some positive impact on their lives. I learned so much with them and from them. I came into high school teaching thinking I’d do it for a long time. For one, I love teaching, and working with that age group is particularly appealing — the students are finding themselves, they’re full of energy and there are so many opportunities to get to know them well. On top of that, I was determined to demonstrate that young, energetic people with a computer science background were the right teachers to get to build K-12 computer science programs. Leaving after only two years is made particularly difficult by that desire. I tell myself that I’ll still be having an impact in high school CS and that the UW opportunity was too good to pass up but I do feel guilty. I wish I could say that I was entirely happy teaching at a public high school but it certainly had its challenges. Everyone knows that public funds have been tight in the past few years but I’m not sure how many understand how that has affected many teachers’ lives. So much uncertainty around budgets and personnel has caused a lot of anxiety and grimness. I felt like many people in the system were way too busy putting out fires and fighting for their little piece of turf to look at the big picture, celebrate successes or encourage innovation. It’s hard to consistently be putting in >60-hour weeks with very little guidance or oversight. Freedom is certainly nice but encouragement and mentoring are important, too, and especially in the creation of something new. Perhaps the hardest part of the gig was the isolation. I was lucky to be in a school with several incredibly bright and inspirational instructors. Unfortunately, they are spread across other departments and located far away in the building so I rarely got to see them and never worked with them. I really hope that in my new role I can help computer science teachers from across the district be in productive and frequent collaboration. Though the transition is bittersweet, I look forward to continuing to share my excitement for computer science and programming.